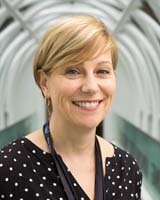 I am a Clinician Scientist, Department of Medicine, Division of Respirology, St Michaels Hospital, Toronto and Associate Professor, University of Toronto, and my research has been focused on delineating the molecular mechanisms underlying skeletal muscle wasting and fibrosis in disease and trauma. Loss of muscle in chronic disease (e.g. COPD, chronic renal failure, heart failure) and trauma (e.g. peripheral nerve injury), diminishes an individual’s quality of life, and increases their disease morbidity, health resource utilization and health care costs. We lack therapies that can prevent or achieve a sustainable reversal of muscle wasting and dysfunction in these populations. To initiate effective treatment and prevention programs it is essential to understand the biology underlying the loss of muscle mass. My research program consists of two components; i) basic science projects that study the molecular biology and signaling networks regulating muscle wasting in animal models and aim to identify the critical and novel mediators of atrophy and ii) translational studies that assess signaling networks and biologic processes identified to be key regulators of muscle atrophy, in human disease. Recently I have demonstrated that the persistent muscle atrophy evident in sustained Intensive Care Unit Acquired Weakness (ICUAW) is associated with a diminished muscle satellite (progenitor) cell content. ICUAW is a phenomenon that develops in 15 to 40% of critically ill patients (depending on the population studied), due to skeletal muscle proteolysis and contractile dysfunction induced by prolonged unloading (bedrest), inflammation/cytokine storm and treatments utilized to survive the patient (eg NMJ blockade), in the ICU. The muscle wasting can persist for years following critical illness resolution and ICU discharge. My finding of altered satellite cell content in the muscle of patients with sustained ICUAW suggests that impaired muscle regenerative capacity may play a crucial role in the non resolving atrophy, a hypothesis we are currently actively pursuing.